Mixed roses and hypericum berries. Colourful, bright and very beautiful. 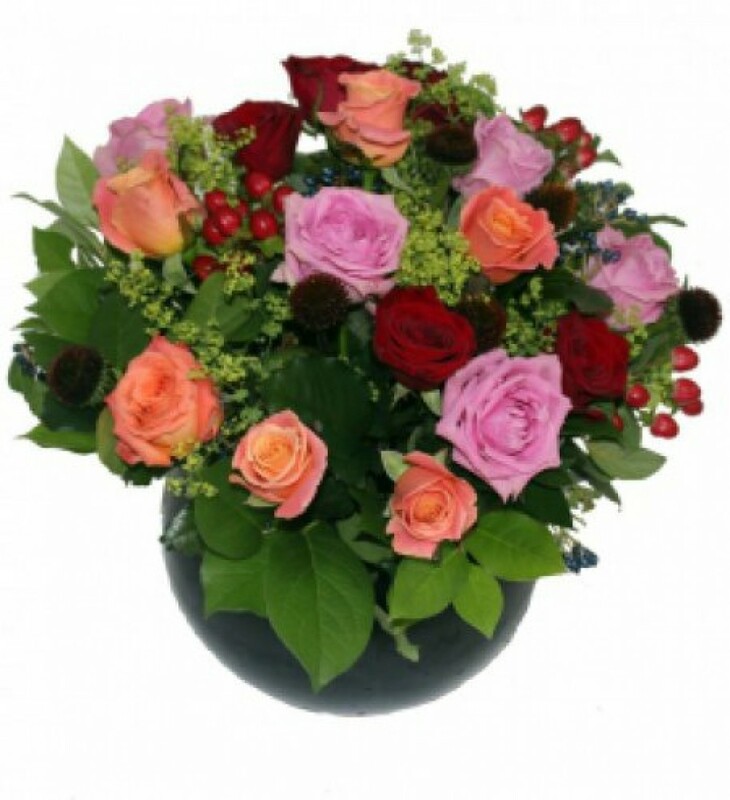 This stunning bouquet is available for same day delivery in UK. (Vase not included.) This product is available for delivery by Pats Flowers Hailsham in Hailsham.